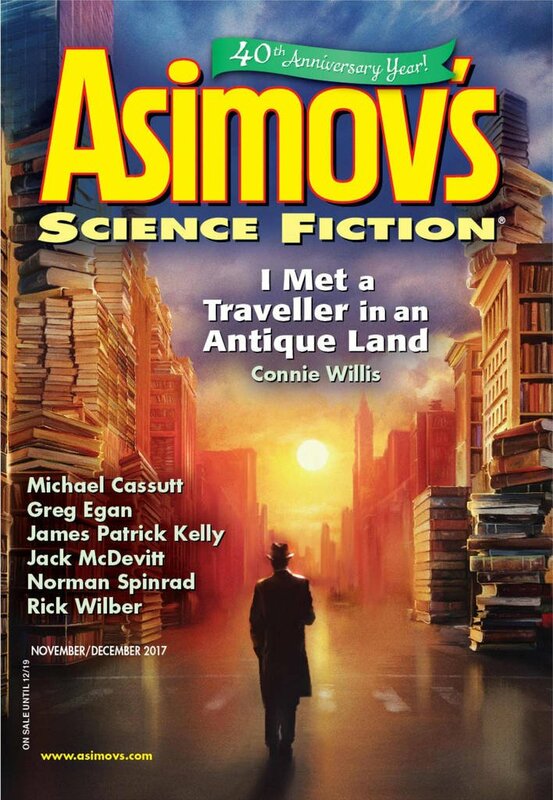 "In Dublin, Fair City," by Rick Wilber [bio] (edited by Sheila Williams), appeared in Asimov's Science Fiction issue 11-12|17, published on October 19, 2017 by Penny Publications. Pro: Moe rescues the Heisenbergs and they make their escape. There’s a good bit of tension and excitement in the shootouts. Con: Moe’s a rather weak protagonist. He goes where other people tell him to. He needs Charlotte to rescue him twice and even a 10-year-old boy once. The story is incomplete. It ends right where it was getting interesting. It's part of a series, and fairly weak on its own.